No bedroom is too small for this incredible bed. It's the most unique bed on the planet earth. It has 18 large drawers to hold all your folded items, and 6 super-long end drawers to hold your long, bulky, odd-shaped items, such as shoes, purses, bedding, guns, wrapping paper, Etc. It can even have an elevated rotating table to hold your TV or laptop, and a handy step stool for getting into bed! Its quality is unsurpassed! 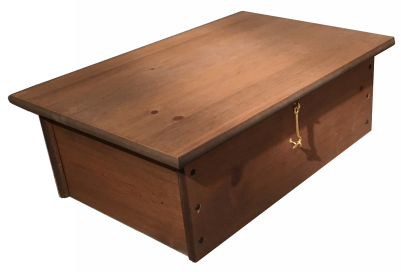 Solid wood, tongue and grooved, all screwed construction, with heavy-duty, full-extension, ball-bearing drawer slides. 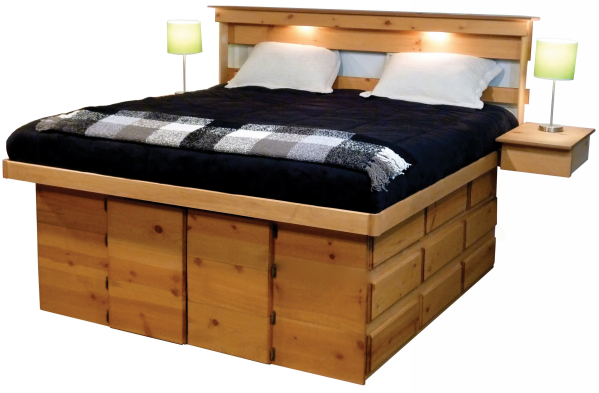 It has an unmatched 50 year warranty (50 times longer than other beds)!. It's also twice as strong ( 1000 lb. weight capacity). 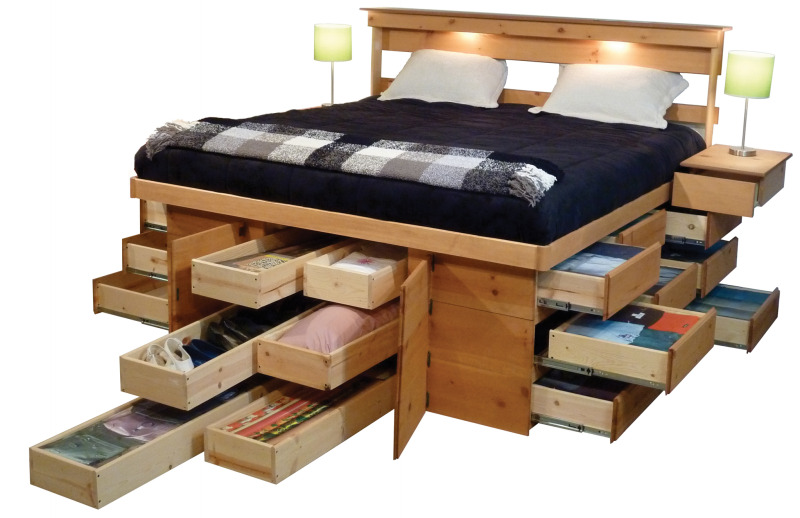 Scroll down to see more beds. Then, to get complete details, get a quotation, or place an order, scroll to bottom of page. Want more details before ordering? Want to get quote or place order?